All tees are available in various sizes for men, women, and kids. Colors vary from shirt to shirt. Click through to see all available options. Some colors choices include: Black, White, Asphalt Charcoal, Silver, Brown, Red, Cranberry, Olive Green, Grass Green, Kelly Green, Royal Blue, and Baby Blue. The first group qualifies for FREE SHIPPING with Amazon Prime. 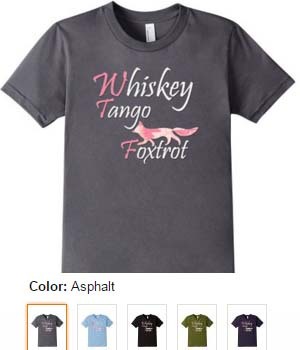 Click through any shirt to see MORE AVAILABLE COLORS and sizes for men and women. 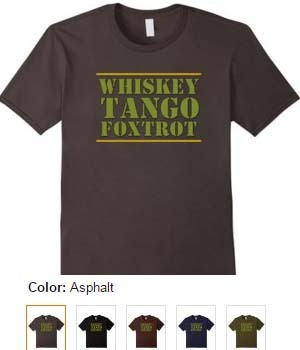 Choose shirts below to add your own customization. 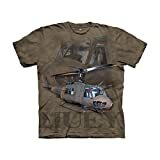 Over 126 styles of military t-shirts for you to choose from. Add your own customization with text or images if desired. Choose from a variety of brands. Choose only Made in the USA if you like. Click any design and then choose your size and style option.